Modern Steel Metallic exterior and Gray interior, EX-L trim. 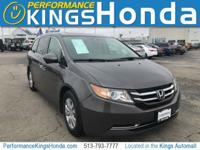 CARFAX 1-Owner, Honda Certified, ONLY 35,361 Miles! 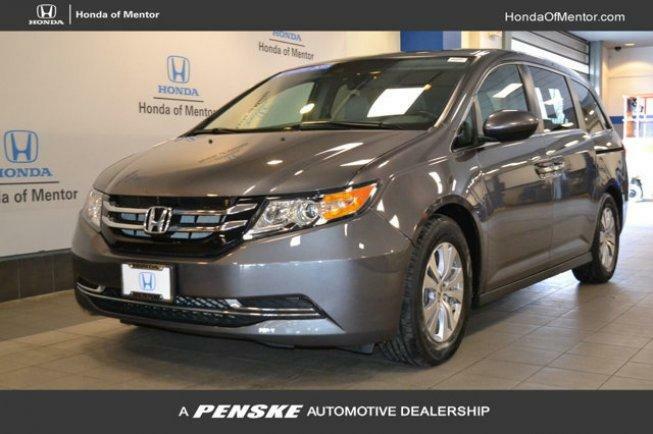 Third Row Seat, Nav System, Heated Leather Seats, Moonroof, Satellite Radio, iPod/MP3 Input, Back-Up Camera, Aluminum Wheels, Power Liftgate, Rear Air. SEE MORE! Leather Seats, Third Row Seat, Navigation, Power Liftgate, Rear Air, Heated Driver Seat, Back-Up Camera, Satellite Radio, iPod/MP3 Input, Bluetooth, CD Player, Keyless Start, Dual Zone A/C, Power Fourth Passenger Door, Heated Seats Rear Spoiler, MP3 Player, Remote Trunk Release, Keyless Entry. Honda EX-L with Modern Steel Metallic exterior and Gray interior features a V6 Cylinder Engine with 248 HP at 5700 RPM*. Edmunds.com's review says "Agile handling; fuel-efficient V6; quiet cabin; configurable second-row seat; easy-to-fold third-row seat; top crash test scores.". Pricing analysis performed on 5/7/2018. Horsepower calculations based on trim engine configuration. Please confirm the accuracy of the included equipment by calling us prior to purchase.